Meghan Markle's banana bread recipe is one of the most searched for recipes in the world right now. Her homemade banana bread, which she brought as a hostess gift to one of the stops on her Australia tour this month, is said to contain ginger and chocolate chips, and was a hit with the guests who got to try it. She is reported to have baked the bread herself at night in the kitchen of the Admiralty House in Sydney, Australia. The Admiralty house is the official residence of the Governor-General of Australia, and is where Harry and Meghan stayed during the first stop of their trip. The Duchess has not shared her exact recipe (yet! ), but Inside Edition asked me to appear on the show yesterday to bake this very similar Ginger and Chocolate Chip Banana Bread so that the producers could taste the royal combination themselves. For the best flavor, I used a mix of grated fresh ginger and chopped candied ginger. If you prefer, you can also substitute ground ginger instead. 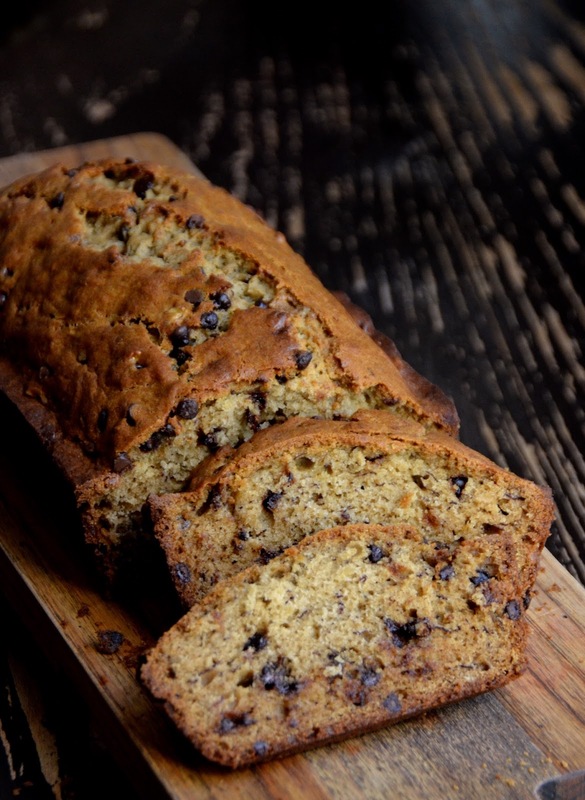 Ginger is a popular ingredient in quite a few British desserts like shortbread and sticky toffee pudding, so it makes sense that Meghan would add it her otherwise all-American chocolate chip banana bread recipe. It's the perfect mix of both her worlds! 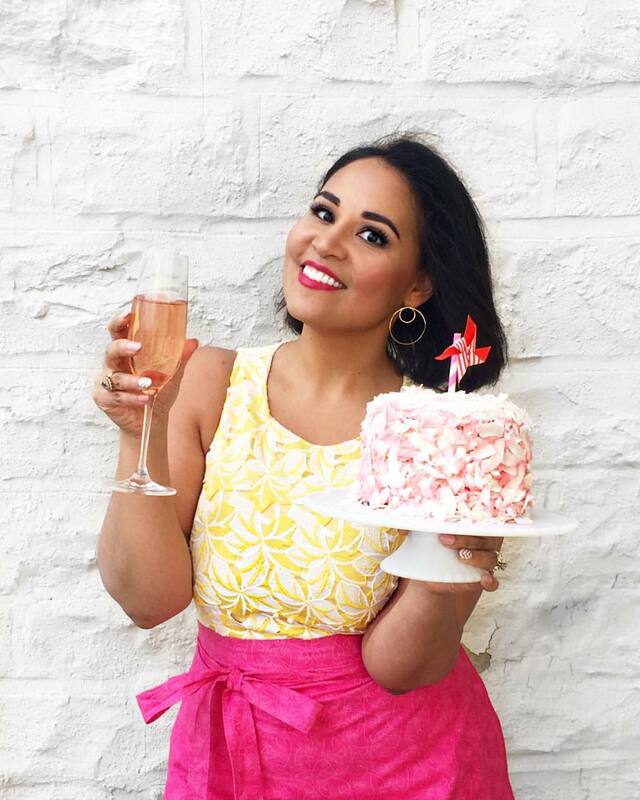 Scroll down for the Meghan Markle-inspired banana bread recipe I baked on Inside Edition to give it a try yourself! 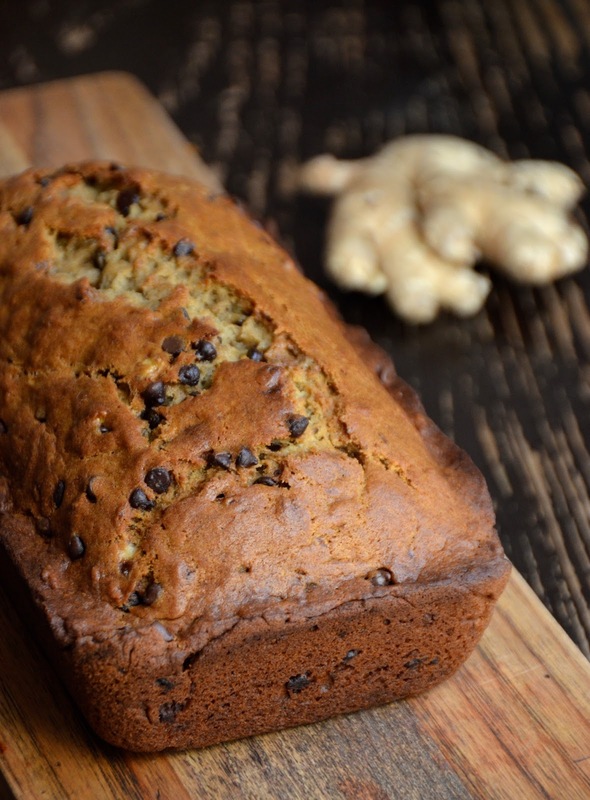 This chocolate and ginger banana bread recipe was inspired by the homemade banana bread Meghan Markle brought as a gift on one of the stops of her tour in Australia. Preheat oven to 350 degrees F. Grease a 9 x 5 loaf pan with butter or baking spray and set aside. In a large mixing bowl, beat the mashed bananas, melted butter, brown sugar, eggs, and vanilla until smooth and evenly combined. Add the grated ginger, flour, baking soda, and kosher salt. Stir just until completely combined with no dry spots. Stir in the chocolate chips and chopped candied ginger (if using). Pour batter into greased loaf pan and bake 60 minutes, or until bread has risen, is golden brown, and a tester inserted into the center comes out clean. Remove from loaf pan and let cool completely at room temperature before slicing and serving.